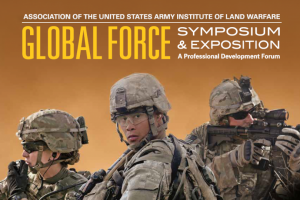 Marvin Land Systems will be joining Marvin Engineering Co. and Marvin Test Solutions as part of The Marvin Group’s upcoming exhibition at the Association of the United States Army (AUSA) Global Force 2019 Symposium & Exhibition. This event will take place in Huntsville, Alabama from 26-28 March 2019. The Marvin Group will exhibit at Booth #427.